The Ajax FC Chicago soccer club is designed to develop talented youth male soccer players and aid them in reaching their full potential. The club focuses on the philosophy that individual improvements – both on and off the field – ultimately foster team success. 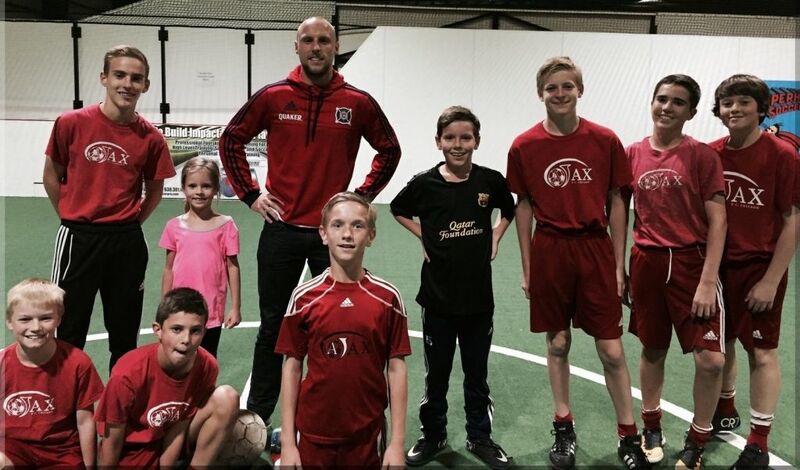 Our coaching staff mentors all Ajax FC Chicago teams to not only be successful soccer players, but also positive members of their community. Over the years, our experienced coaching staff has helped to build the soccer careers of many players – many of whom successfully played for Division 1 colleges, including the University of Wisconsin, Michigan State, Southern Methodist University and Northern Illinois University. Notable Ajax FC Chicago alumni also include Eric Gehrig, who played for the Columbus Crew and Chicago Fire, as well as Eric Lichaj, who played for the U.S. Men’s National Team and the Aston Villa and Nottingham Forest teams in England.